Pioneers in the industry, we offer Blow Rooms Filters such as Cotton Blow Room, Textile Blow Room and Textile Spinning Blow Room from India. 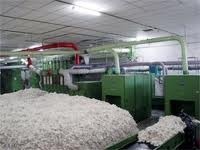 We are involved in manufacturing, exporting and supplying of Cotton Blow Room Filter. The proposed collection is manufactured in adherence to the predefined industry guidelines so as to ensure the durability and flawlessness.openers are equipped with micro-dust suction system. Our esteemed customers can obtain the assortment in tamper proof packaging. We are the leading manufacturers and suppliers of Blow Room Filter Machines. 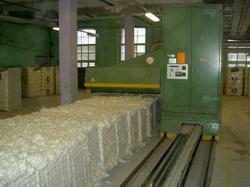 The Pre-Opener is very effective Cleaning Machine for all types of Cotton at the Pre-Cleaning Stage. The Three Beater roller opens the tufts and removes a large proposition of heavy Impurities. The Machine is Equipped with Micro-Dust Suction System.